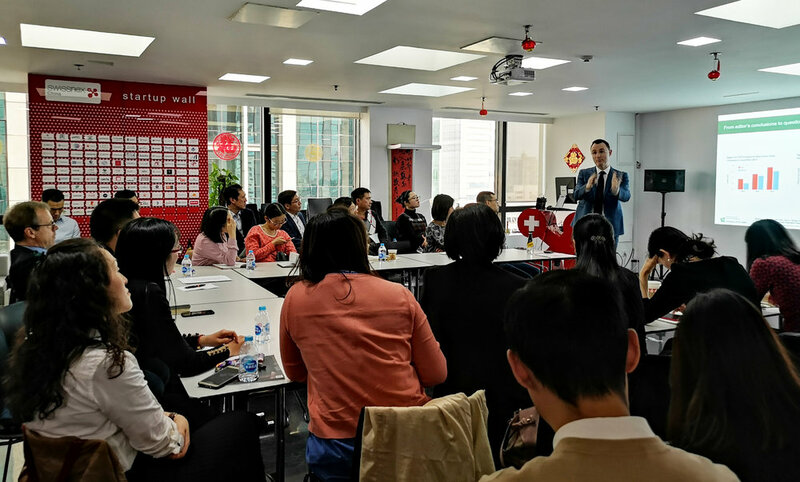 On November 13, swissnex China was delighted to host the Roundtable on the Sino-Swiss Free Trade Agreement, organized by SwissCham China Shanghai in collaboration with the Swiss Centers China. This Roundtable discussed key findings from the Sino-Swiss Free Trade Agreement – 2018 Academic Evaluation Report published by a team of academics of the Sino-Swiss Competence Center (SSCC) from the University of St.Gallen (HSG), the University of International Business and Economics (UIBE), and Nanjing University. 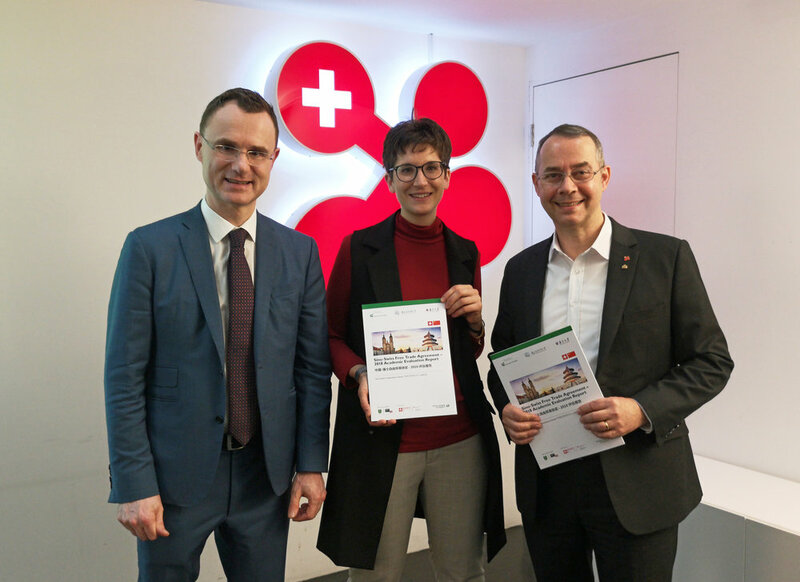 Left to right: Prof. Dr. Tomas Casas, Director of Sino-Swiss Competence Center at the University of St. Gallen, Emmanuelle Roduit, Deputy General Manager at Swiss Centers China and Dr. Felix Moesner, Science Consul and CEO of swissnex China. After a brief welcome by Consul General Olivier Zehnder, with moderation by Emmanuelle Roduit, Deputy General Manager of SCC and Lucky Ding, Trade Specialist at SCC, Prof. Dr. Tomas Casas, Director of SSCC at HSG, presented the findings from the academic report and shared his deep insights with the attendees. Following Prof. Dr. Casas’ presentation, delegates from Swiss businesses and Shanghai Customs addressed various practical problems regarding the Sino-Swiss Free Trade Agreement in a lively Q&A session. A big thank you to Peter Bachmann from SwissCham and Emmanuel Roduit from Swiss Centers China, as well as their teams, for the great organization! Thanks also to Prof. Dr. Tomas Casas for the deeply insightful presentation. Click here to access the academic report.